Originally published in 1964 and hailed by critics including Cynthia Ozick and Elie Wiesel, Other People's Houses is Lore Segal's internationally acclaimed semi-autobiographical first novel. Nine months after Hitler takes Austria, a ten-year-old girl leaves Vienna aboard a children's transport that is to take her and several hundred children to safety in England. For the next seven years she lives in "other people's houses," the homes of the wealthy Orthodox Jewish Levines, the working-class Hoopers, and two elderly sisters in their formal Victorian household. 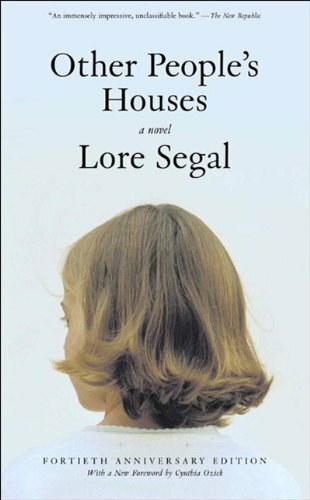 An insightful and witty depiction of the ways of life of those who gave her refuge, Other People's Houses is a wonderfully memorable novel of the immigrant experience.